Mixed media on a custom wooden panel. 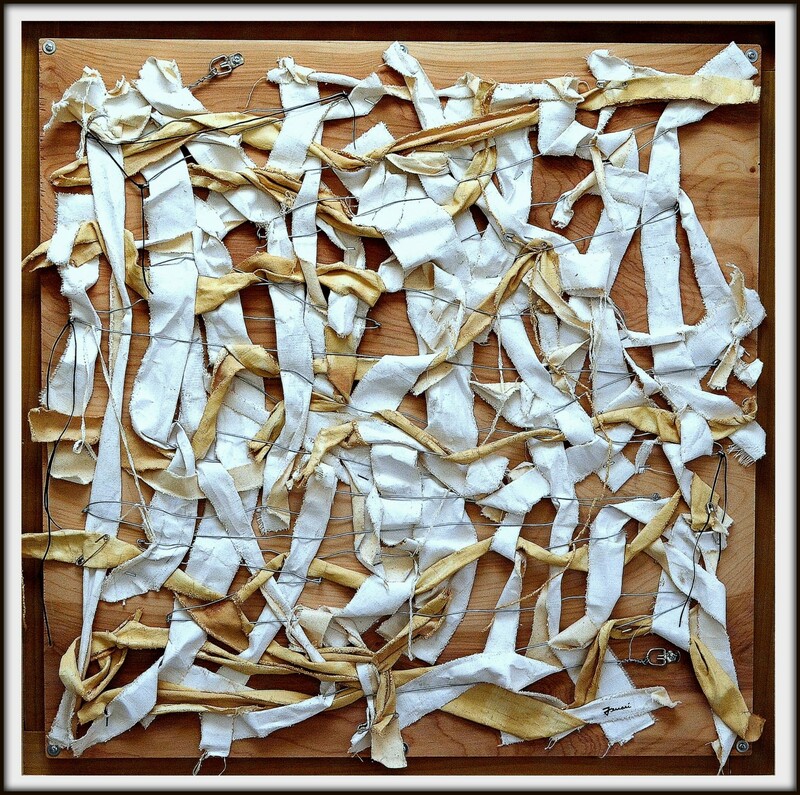 The main body of the work is made up of tea soaked canvas scraps. A continuous piece of hanging wire zigzags through fisheye hooks, starting at the d-ring in the top left corner and ending at the d-ring in the bottom right. The wood is unfinished, and the hardware holding the piece together is on prominent display. Framed and ready to hang.